Cantonese can be difficult, and people are often put off learning it. But Norwegian Cantonese teacher Cecilie Gamst Berg has hit on the best strategy: she avoids boring classrooms and teaches Cantonese in the places you will actually need it — in shops, taxis and bars. OK, mostly in bars, but sometimes in cha chaan teng (local Chinese cafés) too. 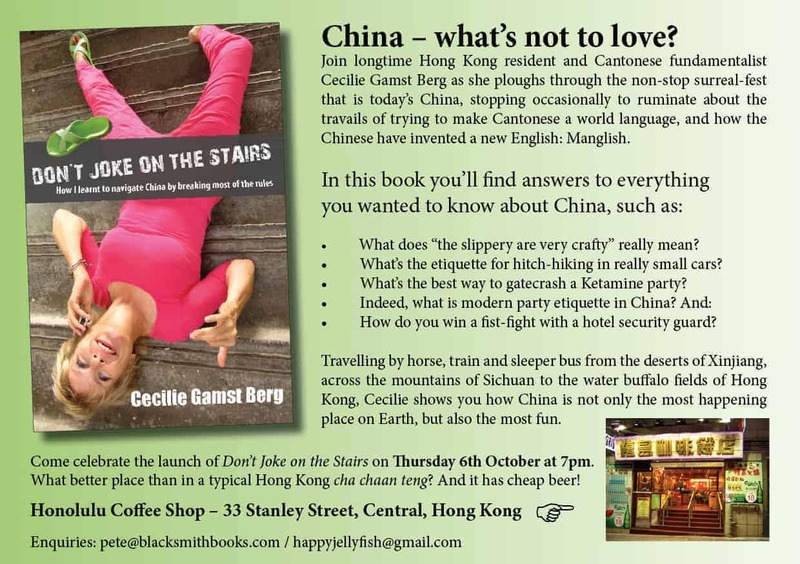 Join us at a cha chaan teng in Central for the launch of her new book: Don’t Joke on the Stairs! 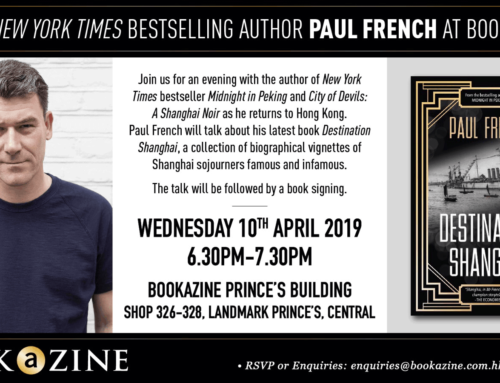 Click image to see invite at full size. Buy book to find out the meaning of “the slippery are very crafty”!